Our authors range from early-career academics to eminent scholars such as Noam Chomsky and Amartya Sen. We offer authors full copyright, faster publishing times, flexibility to amend and update their work and a greater number of readers. We make publication decisions based on academic merit and public value—rather than commercial considerations—through a rigorous peer review and editorial process. OBP is a Platinum Open Access publisher, which means that we provide permanent and free access to our books for readers with no publication fees for the authors, and that all our titles are published under the most flexible reuse standard – the CC BY license. 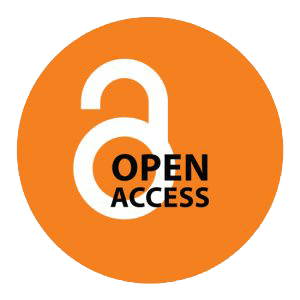 For more information about copyright, licensing and other issues related to Open Access publishing, see our Open Access Guide for Academics. Our books are regularly reviewed in publications, academic journals and scholarly blogs including The Times Literary Supplement, Times Higher Education, Essays in Criticism, Modern Language Review, Choice Review, Romanticism, The Year’s Work in English Studies / The Year’s Work in Critical and Cultural Theory, Medieval Aevum, The English Historical Review, International Studies in the Philosophy of Science, Journal of European Studies, Slavic and East European Journal and Counterfire and are often awarded book prizes. You can find links to reviews and awards on the individual title pages on our website. OBP is an approved member of OASPA, the Open Access Scholarly Publishers Association and we are compliant with the open access requirements of OAPEN, the European Research Council, The Wellcome Trust, the Austrian Science Fund (FWF) and the Norwegian Register for Scientific Journals, Series and Publishers. We are also eligible to receive European Commission's publication grants for research funded within the FP7 and Horizon 2020 frameworks. Our titles are listed in the Directory of Open Access Books and, through WorldReader, our books are accessed in the developing world on e-readers and mobile phones. Your work, your copyright: All our titles are published using Creative Commons licences. These licences mean that you are in full control of your own copyright, and can choose how your work is used by other people. We recommend Creative Commons Attribution licences (CC BY) which allows others to copy, distribute, display and perform your copyrighted work, but ensures that they must give you full credit. All the same rules of plagiarism and citation apply to works under this licence. Details of the alternative Creative Commons licences available can be found here (http://creativecommons.org/licenses/). After publication you will be able to embed the free to read edition of your work on your website, social media page, blog and any other digital platform. Open Access equals more readers: Our books are currently read by over 400 readers per month per title worldwide. Our books are uploaded on our website and a number of platforms, such as Google Reader, Open Editions, and textbooks platforms such as Merlot II. Free and easy to embed, our books are also available on a number of websites, blogs and social networking sites. Allowing free access to your research means that more people will be able to engage with your ideas around the world, and provides more opportunity for the citation of your work. Find out more about how we collect our readership statistics, and read our blog post to see how we share this information for every title we publish. Wide distribution: OBP titles are available through the major retail outlets (Amazon, Apple iBook store, B&N, Google Play) and distribution channels (including Barnes & Noble, Bertram Books, Blackwells, CNKI (Bejing), SWETS and YBP). Over 120 research libraries have acquired all our titles through our Membership Programme, and many list our books in their catalogue. OBP provide MARC records for libraries, automatic metadata distribution to Crossref and prepare publication metadata for wholesale and eBook distributors. Research assessments: A book published by OBP counts toward the main University research assessments worldwide. In the UK OBP books count for the REF assessment. Moreover, in the UK, HEFCE guidelines for the next assessment exercise indicate that credit will be given for Open Access books. Marketing and publicity: All OBP books undergo a targeted marketing campaign: we send review copies to leading and subject-specific journals, and at the time of publication, each book is promoted extensively through email notices to libraries and personalized messages to academics. Every new title features prominently on our website and is marketed via our social media channels. We also encourage you to play an active role in promoting your work: Open Book Publishers has nearly 5,000 combined followers on Twitter and Facebook, and we offer our authors the chance to write a blog or to post podcasts and videos for this audience. Social media is one of our most effective marketing tools, and this is an engaging and interactive way for you to reach a large number of potential readers. Innovative modes of publication: At Open Book we welcome proposals that engage with knowledge in new ways, and we are willing to help individuals and institutions develop new ways of disseminating research to better inform and interact with readers and researchers. For example, our award-winning Denis Diderot 'Rameau’s Nephew' – 'Le Neveu de Rameau': A Multi-Media Bilingual Edition incorporates specially-recorded musical pieces into the body of the text, making Diderot’s work uniquely accessible and engaging for a general audience; one of our books on oral literature, Storytelling in Northern Zambia, allows readers not just to access the author's opinions on the topic, but also to listen and watch the storytellers directly. Many of our titles also provide additional digital resources that further enrich the research presented in the book. In this way readers can verify and participate in the academic discussion — and scholars can make further use of the primary material in their academic research. Open Access editions: All our titles are published simultaneously in several free digital editions (downloadable PDF, PDF Reader, HTML, and now increasingly also in XML format) that can be read via our website, downloaded, reused or embedded anywhere. Digital editions: Our titles are also published in ebook format (epub and mobi). Beautiful printed editions: We use print-on-demand technology to provide top quality paperback and hardback editions of each monograph at affordable prices. Our books are printed in the UK, the USA and Australia and can be ordered from any country; they are available from major book distributors and retailers, as well as from our own website. All our books are printed by Lightning Source—one of the leading PoD companies widely used by university presses—and offer a high-quality and beautifully-designed final product. Any revenue we generate goes back into publishing more high-quality monographs. Individual support, greater control: OBP offers careful evaluation of any proposal or sample material, and constructive feedback and advice throughout the process of publication. If you would like, we will consult you on every aspect of your book, from the cover design to the back page blurb. Speedy service: We drastically reduce publishing times. We aim to make publishing decisions within eight weeks of receipt of the full book proposal, and print-on-demand technology allows us to have your book published and available for purchase within a few weeks of the final manuscript being passed as ready. This can be enormously beneficial if you are applying for grants or jobs—your book will be in the public arena sooner. It also means we have much shorter deadlines for research assessment exercises. Revise, correct, update: Rather than having a set print-run for your book, OBP uses print-on-demand technology. This means that it is very easy and inexpensive to amend your book if you want to delete a mistake or add new material. We also offer the flexibility to supplement and enhance your work with additional digital material such as databases and to include multimedia such as video and audio material. Impact: Your book will never go out of print, as all books are available PoD. Because university and research libraries worldwide subscribe to our Library Membership Programme, Open Book guarantees that your title will be available to an international audience. The readership statistics of each title are updated daily and displayed on our website along with a readership map that shows the international distribution of readers. We have also developed an Open Source reporting system for authors which allows them to access all metrics relating to their books. For more details about how we collect our readership statistics, click here. OBP publishes monographs and textbooks in any area of the Humanities and Social Sciences and are also accepting book proposals in science, mathematics, and medicine. We do not publish doctoral dissertations. Our standard is at least as high as that of the most prestigious academic presses. To ensure that only submissions of the highest quality are published, generally we employ the referee system described below. However our aim is to identify the best, or develop what can become the best, in discussion with the author and advisers, not just to follow a mechanistic procedure. So we encourage authors of quality manuscripts who may be inexperienced to get in contact with us to discuss their work. OBP invites prospective authors to submit their complete, or near-complete, manuscript and book proposal via email (a.tosi@openbookpublishers.com), using the submission form which is available here. A submission will only be considered where the manuscript has not been offered for publication elsewhere. There is no word limit or limit in the number of images included in our books, and other materials, including additional text, visual images (static and moving), and audio, can be added online if they would enhance the work. Initial review: All submissions are first considered by the Managing Editor to determine if they are suitable, consulting others, including members of the Editorial Board, as necessary. Assignment: Having determined suitability, the Managing Director informs the Board of Directors and is responsible for sending the complete, or near-complete, manuscript to at least two recognized experts for review. Peer review: Referees are asked to consider the following: (1) overall quality; (2) originality (its contribution to the field); (3) academic standards; and (4) success of synthesis between areas for those submissions purporting to be interdisciplinary. Referees will recommend one of the following options: (1) accept outright for immediate publication; (2) accept subject to minor modification; (3) accept subject to major modification; (4) reject outright. Revision: Authors will be sent anonymised copies of referee comments. Authors are responsible for considering the suggestions and, if they agree, ensuring that necessary amendments are carried out. Reconsideration: Revised manuscripts may be returned to Referees or may be assessed solely by the Managing Director (having reference to the review and recommendations by the referees). Recommendation: Based on referee reports and her own assessment, the Managing Director will make a recommendation to the Board of Directors, which has final responsibility for each decision on each submission. Proof-reading by authors: Once your submission has been accepted, we ask for a fully proof-read copy of your work, with an index and bibliography. We prefer the MHRA style of citation (we provide our style guide in our information package for authors). Alternatively at the author's request OBP will arrange for additional professional proof-reading and copy-editing services if needed. Proof-reading by OBP: Once you submit your final manuscript we will check it for consistency and proof-read it in-house. We will then send you a first set of proofs in Word with our comments and corrections highlighted in the text using track-changes. This is the last opportunity for authors to make minor changes in the text. Typesetting: After last corrections have been approved we typeset the manuscript and send you final proofs in PDF format. No major changes can be made at this stage in order not to disrupt the page layout. Publication: We usually publish the title within a month (and no later than 6 months) of receiving approved final proofs from authors. Your book will be available simultaneously in the free-to-read edition, digital (downloadable) and printed editions. Our titles are available to purchase from our website and from all major retailers (such as Amazon), book distributors and libraries. Payment: As a fair and non-commercial Open Access publisher our priority is to ensure that the best monographs and textbooks are freely available to readers through our online reader. Depending on a number of factors including, for example, the length of the manuscript and number of images, it typically costs £5,000 to produce and market a book. We ensure sustainability by selling digital and paper copies, and through our Library Membership Programme. We don't require authors to pay for publication although many are able to apply for grants from their university and elsewhere. We provide information on possible sources of publishing grants for Open Access books and support our authors throughout the application process. For more information on available grants and how to apply, see our Authors' Guide. Preservation of your work: OBP titles are preserved in the UK legal deposit libraries at the British Library, Portico, OpenEdition, Google Books and the Internet Archive. In order to ensure that our titles are preserved into the future we subscribe to Portico, one of the main digital archiving services. All our titles are available through Google Books, which itself is committed to long term preservation of their digital editions.We have also partnered with OpenEdition—a resource for Open Access books serving individuals and libraries—which ensures preservation of all the titles in their catalogue, and we upload digital editions of titles to the British Library where our content is also stored in perpetuity. The html editions of all our titles, together with any web-links embedded into the publication, are uploaded to the Internet Archive's WayBack Machine at the time of publication. Authors are free to self-archive digital editions as they see fit, and we particularly encourage authors to use institutional repositories for this purpose. We are also happy to submit published editions of works to specific repositories as may be required or mandated by funding bodies and research organisations. Because our books are Open Access and under Creative Commons licences they will be available to all in the future through the above organizations and elsewhere, even if OBP should cease to exist. OBP allocate DOIs at both book and chapter level.